Santa Rosa, California – January 30, 2019. Uniform Solutions, a respected source for online employee uniform ideas, is proud to announce a new informative blog post as we begin 2019. The post focuses on the retail industry, in general, but has a specific emphasis on the hotel and hospitality industry. Hotel managers might find February a good time to review retail uniform ideas for the new year before the busy Spring or Summer season. Among the trends identified in the post is the trend in wrinkle-resistant clothing for hotels and restaurants. A hearty “wash and wear” type of employee uniform resistant to stains and shrinking could be a value-add for budget-conscious managers of hotels, resorts, and casinos. Interested persons can review the new blog post by Uniform Solutions by visiting the website. The post focuses on the value of making smart employee clothing choices. Hotel, spa, restaurant, medical and retail uniform ideas can include finding durable and fashionable options. Stain resistant clothing can save an employee time wiping off spills. Wrinkle-resistant fibers can cut down on ironing tasks. Hearty workwear can save a manager the cost of replacing ruined uniforms. Interested persons can learn more at the hotel uniform landing page, or are encouraged to reach out to an “idea consultant” for help brainstorming new hotel uniform ideas for spring or summer, 2019. Here is the background for this release. Hotel leaders might have discovered a solution to dressing employees for food service. New fabrics designed to resist spills can save money replacing ruined shirts. Materials made to be wrinkle-free can cut out ironing tasks. The popularity of easy wash, wrinkle-free fabrics can spread to other departments and help hotel leaders responsible for retail uniform ideas. Decision-makers might find hotel boutiques, and shops can benefit from dressing sales staff in flexible, high functioning workwear. A busy sales team can quickly clean a coffee spill on a stain-resistant shirt before serving shoppers. Wrinkle-free styles can cut time-crunching ironing tasks as employee prepare for work. Less wear and tear on uniforms can equal lower uniform replacement costs for hotel leaders. 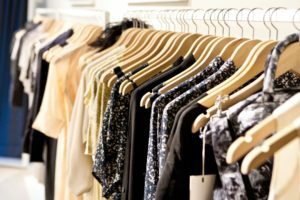 For these reasons, Uniform Solutions has announced a new post about the value of easy-care options for retail uniform ideas. High performing uniforms for professional sales staff could be the answer to sharply dressed sales staff all year long.